Poznan Supercomputing and Networking Center participates in several National and European research projects. PSNC Security Team conducts tasks from work packages that concern computer and network security issues in their scope. Currently the most important enterprises for the Team are: EGEE-2 European Project and Microsoft Innovation Center. 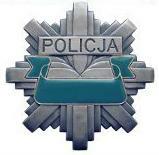 PSNC Security team will actively participate in creating an integrated IT platform for Polish Police. ZPT is a national project, funded by Ministry of Science and Higher Education within the confines of 11th contest of development projects in .homeland security. area. The project participants, besides PSNC who is the project leader, are several IT companies located in Poznań. PSNC Security Team representatives will take part in preparing a secure network, according to the requirements of the final user. They will conduct analyses and security tests of solutions prepared within the confines of the project. Finally, they will make practical deployments of an intrusion detection system as well as a solution for managing and monitoring heterogeneous IT infrastructure. The project lifetime is September 2010 - August 2012. This is the continuation of the National Data Storage project (see below). The aim of this project is to provide an extended set of optimized services, embedded within the base infrastructure resulting from the first NDS project. The project participants are several Polish HPC centers and MAN units, and the project leader is Poznań Supercomputing and Networking Center. Particular emphasis will be put on security of prepared solutions. Therefore two sets of tasks have been distinguished. The first set is oriented towards security analyses of technologies that might be chosen, constant control of their security level (including security expertise delivery for other project participants) and building hardened reference configurations. The other set is directly focused on prepared services and concerns . above all . building an environment for secure files exchange and authentication & authorization solutions. The project is going to start at the end of 2010. A representative of PSNC Security Team will coordinate the security task within the project. Geant3 will be the third generation of the main European network for research and education, connecting over 30 National Research and Education Networks (NRENs) and - through them - over 4 thousand of campus networks. The 4-year's European project GN3, that started on April 1, 2009, is oriented towards extending the existing Geant2 network with new mechanisms and services for creating innovative, multidomain network environment, using the latest advanced data transmission technologies. PSNC Security Team takes part mainly in the SA2/T4 task (Multi-Domain Service Operation - Security), however we support the JRA2/T1 task (Multi-Domain Resources and Services - Control & Management) as well. Within the confines of those tasks, basing e.g. on our experience gained in PIONIER CERT activities, we help to create the rules of establishing and maintaining a secure multidomain environment. Additionally, we offer security consultancy services for the participants of the whole project - on secure programming, protecting servers, Web applications security or fighting against malicious programs. In June 2010 we will prepare a two-day's security training for the GN3 developers, that will thoroughly cover the issue of building secure software. The goal of the Pl-Grid project is to provide IT services based on grid computing clusters for the Polish research society. The infrastructure, working for e-Science in numerous areas, must be compatible and interoprable with European and world grid structure. The system will be scalable and will offer facilities to connect local computing clusters of universities, research entities or "technological platforms". Polish Grid will be usable by public administration, crisis management teams or commercial enterprises. The Pl-Grid project acts as the Polish NGI (National Grid Initiative) in the European grid structure EGI (European Grid Initiative). Within the confines of the project, PSNC Security Team helped to assess security policies for the national grid structure. We are also working on the project and implementation of the automatic grid security monitoring system. In the further stage of the project life we will perform security reviews and penetration tests of the software developed in other Pl-Grid tasks and several Open Source solutions used in the project. The first Microsoft Innovation Center in Poland is joint venture between Microsoft, Poznan Supercomputing and Networking Center, and Poznan University of Technology. The main goal of the center is to foster innovation and growth in the field of IT security and outsourcing services. The Microsoft Innovation Centre in Poznan has been officially established on June 1st 2006 and it became fully functional in the year 2007. During the first year of the Center operations, PSNC Security Team made several security audits of software applications created by hosting companies based on Microsoft`s technologies. Moreover, the Team members audited also applications (based on .Net platform) used in local government administration and other, commercial, businesses. Finally, the Team proposed a number of criterions and best practices guides in order to help writing secure software in Windows environment incorporating .NET based tools. In the near past the Team was also involved in the projects mention below. PSNC Security Team actively participate in the activities of the Polish Platform for Homeland Security. It is a nationwide project created by leading research and scientific institutions, commercial businesses and representatives of public security services including police. The aim of the Platform is to create integrated computer tools to support the broadly defined efforts to improve public security. The main focus of these efforts is to support the police and other security services with modern technologies, and some of the proposals worked out within the Platform may strengthen the efforts to improve both security and prevention of crimes committed with the use of modern technologies and the ubiquitous Internet. PSNC Security Team take part in tasks related to implementation and creation of a distributed intrusion detection systems as well as systems devoted towards integration of information about electronic crime, cybercrime and online criminal activities. The Krajowy Magazyn Danych (KMD, in English: National Data Storage, NDS) project is aimed at building a distributed data storage system of a country range that offers efficient data operating and access methods, assuring the high level of reliability and security of those data. PSNC Security Team performed a number of source code security reviews (as well as several penetration tests) of modules and portals developed within the confines of the project. We also took part in assessing security of the whole project architecture and made a dynamic analysis of a binary dedicated for data backup. The EGEE-3 name refers to the 3rd stage of the EGEE (Enabling Grids for E-sciencE) project. It started on May 1, 2008 and will last for 2 years. The EGEE project, funded by the EC, groups over 140 research institutes from about 50 countries. Its goal is to provide a reliable, highly available and used grid infrastructure for research purposes. The EGEE grid currently offers over 150 thousands CPUs and about 70 PB storage space (including almost 30 PB disk storage). Those resources are utilized by representatives of numerous research branches - for instance high energy physics, environmental sciences or geology. PSNC Security Team takes part in JRA3 work package (Security). Our main task is to perform security code reviews (sometimes also the penetration tests) of selected components of gLite middleware. We have also analyzed the source code of PBS/Torque batch system. Our team have participated in the 2nd stage of the project (EGEE-2) as well, that took place between April 1, 2006 and April 30, 2008. Besides security audits of gLite middleware, the team have performed penetration tests of grid monitoring services and issued a security best practices handbook for the administrators, developers and users of the EGEE infrastructure. The aim of SGIgrid project was to design and implement: state-of-the-art, broadband services for remote access to expensive laboratory equipment; backup computational center; remote data-visualization service. The research work has ended in November 2004. The PSNC was responsible for some tasks related to work package WP7 (Advanced security system), precisely the goal was to improve security level of IRIX 6.5.x operation systems and LSF queuing system. PSNC was a leader of this work package. The concept of the project was to build the National Cluster of Linux Systems (CLUSTERIX) - a distributed PC-cluster (or metacluster) of a new generation. Its implementation made it possible to deploy a production-class Grid environment composed of local PC-clusters with 64- and 32-bit architectures, located in geographically distant independent centers. PSNC was involved in tasks from work package WP7 (Security mechanisms in PC-clusters). The Team created a central system for managing security policies in local cluster and made a final test of the cluster infrastructure security.